No 1 Castlelawn Heights is situated at the front of the development and would be ideal for any growing family attending NUIG, GMIT, or one of the many national and secondary schools in the area. There a few local shops nearby and the Menlo Park Hotel is just a five minute walk away. The development is conveniently located close to a host of retail parks including Liosban Retail Park, Terryland Retail Park, and Galway Shopping Centre. There are pedestrian exits from Castlelawn Heights to both the Dyke Road, which leads into the city centre, and also onto the Headford Road. There is also a regular bus route to and from Galway city centre along the Headford Road. No 1 Castlelawn Heights is presented in showhouse condition with careful attention to detail and decor throughout. The accommodation comprises an entrance porch leading to the entrance hallway, a front office/study or optional fourth bedroom, a large lounge room with dual aspect to front and rear. The heart of the home is an open plan kitchen and dining room that overlooks the rear garden. On the first floor is a large main bathroom with separate bath and shower and a feature sauna, and three large double bedrooms. Outside is a tarmacadam front driveway, ample parking for multiple cars, gated side entrances on both sides, a large southwest facing private rear garden, approximately 13m in depth, not overlooked to the rear, with fenced perimeter, paved patio, and a feature decked area. The property also enjoys quick and easy links to both the west and east side of the city, and is convenient to several hospitals including UHG and Bon Secours, and a number of medical device companies such as Boston Scientific, Merit Medical, and Creganna. Access to the M6 and M7 motorways is very accessible and provides quick links to many of Ireland's largest cities, towns, and villages. The property is bright and spacious and would be an ideal owner occupier residence or gilt edged investment. The Galway to Dublin M6 motorway is also close to the property providing quick links to many of Ireland's largest cities, towns, and villages. Viewing is highly recommended and guaranteed not to disappoint. The BER is C3. 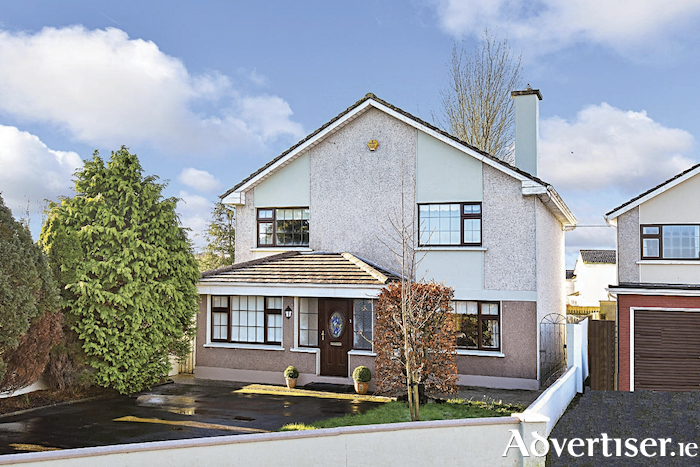 Asking price is €385,000.